Camm. Also known as Cammi Neely, Cammi Neely Bean, Sassy Pants, Bossy Pants, Cammi Pants, The Pants, The Goth Princess and Little Beotch. 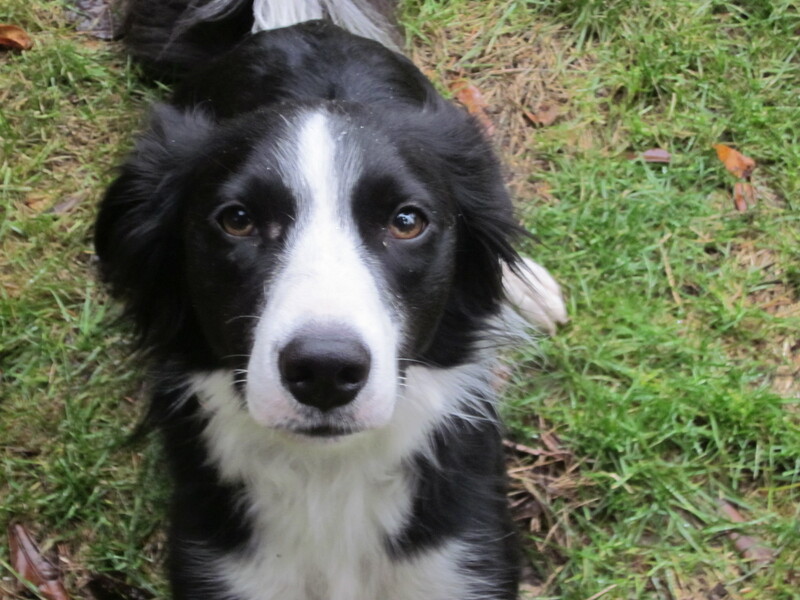 Born in November, 2011 in Oregon to working border collies on a sheep ranch. Inexplicably allowed to be taken by an “older lady” who realized a year later the hell that is an adolescent border collie and turned over to rescue. See that look in her eyes? Yeah, I fell for it too. I actually noticed her on the rescue web site four months before I ever met her in person in 2013, because I was sort of “looking.” Imagine my dismay when I met her at an agility trial and she was still in rescue. Sucker! She’s super adorable and tiny and, wisely, her foster mom knew she needed more in life than to be a cute house pet. So I became her victim, ahem, person. Seriously, who walks into your house after a long car trip and knowing you for a grand total of six hours and jumps up on the couch, then flops down in your lap, giving the other three dogs the sign, in very large letters, I HAVE ARRIVED? Camm is convinced the world is her oyster and I freely admit that may indeed be true.